One of my boxes is running an Arch Linux. Out of the box it is really a slim one. The install runs only a blink and as a result the operating system won't have anything that is not absolutely necessary to boot the thing for the first time. Given any of the other distros who require gigabytes and gigabytes of storage for crap you won't ever need this is a refreshing change. 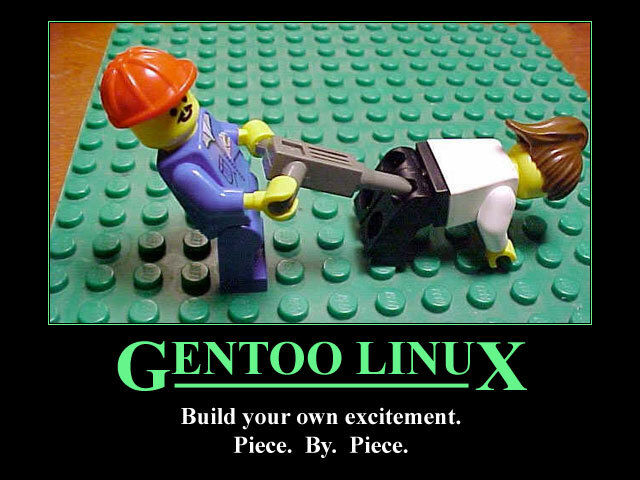 Every Arch Linux user needs to "build their own excitement" (originally about Gentoo from obsoleted http://www.usenix.org.uk/pictures/despair-linux/gentoo.jpg). Recently they maintainers have been fiddling around too much with network interface naming conventions. When I installed it was eth0, then it changed to ens3, and guess what happened when I last updated! Yuupp! Back to eth0, but with a twist. Now the eth0 won't come up on boot. Crap! The Arch Linux discussion forum's section Networking, Server, and Protection has a discussion with topic [SOLVED] Update broke netctl (I guess?). It discusses the problem with a sys-subsystem-net-devices-ens3.device. However, in my box none of the repair instructions were accurate. ... after which the network starts functioning again, but which does not fix the problem. On bootup the interface won't work! This does seem to help, but on bootup it still complains "Dependency failed for dhcpcd on ens3". I don't know exactly where the old interface keeps popping up. In the end, this does work, but it simply takes a bit longer to boot than it used to. Any suggestions to improve booting are welcome.